South African based civil engineering consulting firm UWP Consulting has celebrated its 47th anniversary with a new name. 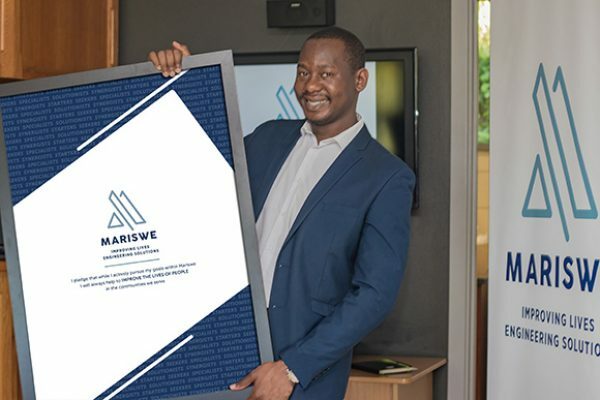 UWP Consulting officially changed its name to Mariswe on 1 February 2019 following 10 years of change, resulting in the company becoming 100% owned by its employees, 55% black owned, and a Level 1 B-BBEE Contributor against the new Construction Codes. UWP has acquired three majority black-owned companies in the past 10 years – Khula Africa Engineers in 2009; CME Consulting Engineers in 2012; and Sektor Consulting Engineers in 2018. In 2016 UWP was 33% black owned and 12% black women owned. A 25% stake of the black ownership was held by an external equity partner and 8% by black employees in management. The remaining 67% of shares were owned by white employees. Today Mariswe is 100% employee owned and 55% black owned. Black women effectively own 24% of the company. The equity partner’s 25% holding was bought by Abaqeshwa, a company wholly owned by black employees in the business, while 30% of shares are held by black managers and professionals within Mariswe. Mariswe also successfully retained its Level 1 B-BBEE Contributor status in its first audit under the Amended Construction Sector Codes of Good Practice in November 2018. Mariswe operates from eight offices in four provinces of South Africa, with clients across all tiers of government alongside growing private-sector partnerships. Over 35% of its revenue is currently generated outside South Africa and successful subsidiary firms are located in Tanzania, Zimbabwe, Botswana, Zambia and Ghana. Projects have also been completed recently in Liberia, Uganda, Lesotho, the DRC and Sierra Leone. A new branch of the South African business has recently opened in Lesotho. “The name change has taken two years and we put our employees at the centre of the journey by asking them to literally paint a picture of why they worked at UWP,” says Sindane.